All 3 sister vessels, – MV „Clara, MV „Mia“, MV „Frieda“ which were acquired at the beginning of 2015 have been sold – the gain on the invested capital ranges from ca +35% and ca + 70%. 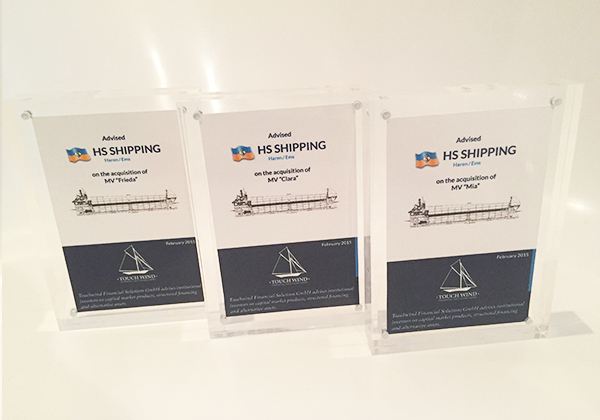 Great job done by HS – Schiffahrt!!!! Thanks a lot from Touchwind as a co – investor and all the other investors.